Take a look at this lovely two story home! 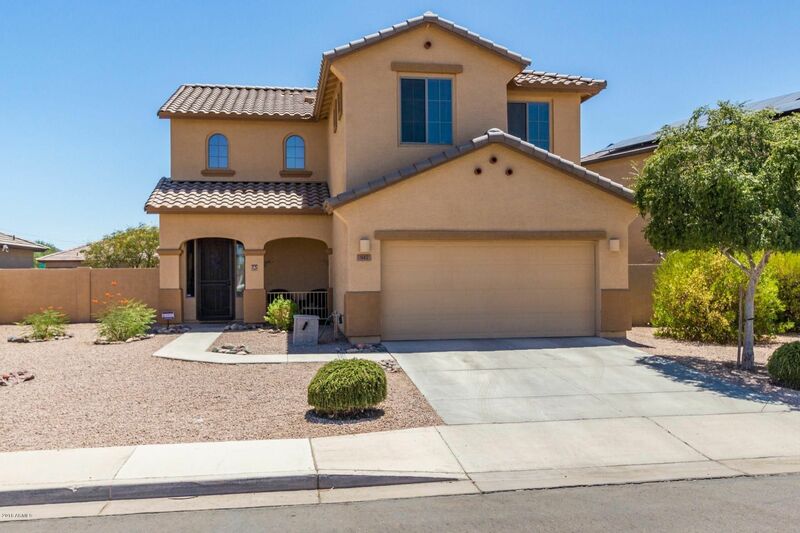 Located in Avondale, this three bedroom includes a two car garage and a desert landscape. Open floorplan, great room, eat in kitchen. Breakfast bar, unique backsplash, walk in pantry, electric appliances with built in microwave, breakfast room. Half bathroom for guests. Bonus game room upstairs, two guest rooms have access to a full bath. The master bedroom has a private balcony entrance, full bath with separate shower/tub, walk in closet. The spacious backyard includes a covered patio. This is a great price, make it yours today!